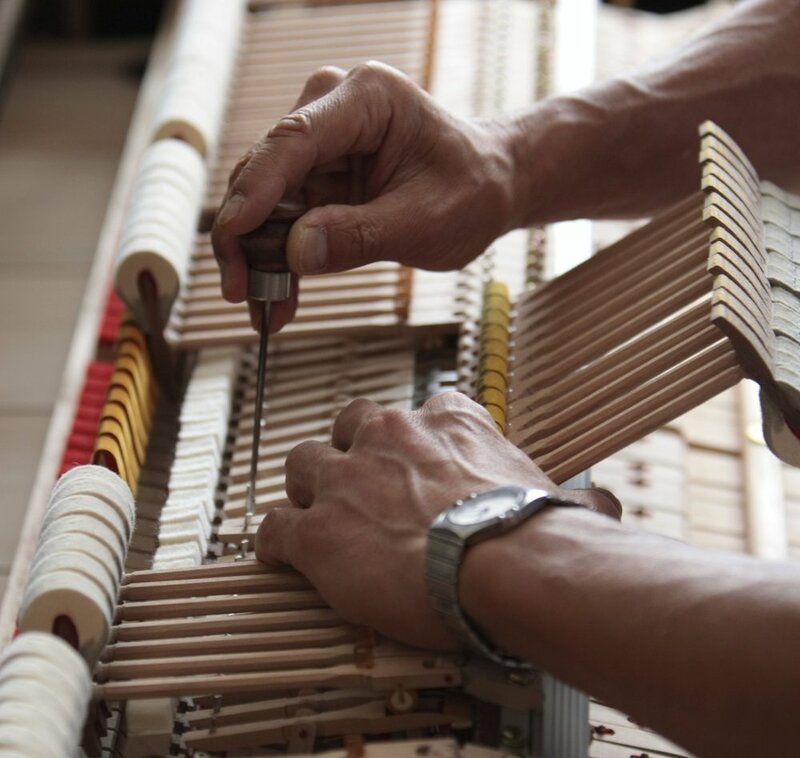 Prosser Piano is a full service piano dealer with skilled craftsmen and technicians to cover every phase of piano tuning and repair maintenance for your instrument. Each showroom maintains a collection of piano method books, recital and other sheet music, and performance scores most requested by teachers. Other items are available and can be reviewed in catalogs in our showrooms. Prosser’s actively participates in piano teachers educational programs. Each store maintains a referral profile of piano teachers in their local area. This referral resource allows us to assist you in finding teachers that are qualified and close by to serve your needs. Our sales staff have experience in assisting organizations in the selection of instruments to meet the needs of their facilities and performance demands. This ongoing experience has allowed us to serve universities, churches, schools, military facilities and performing arts centers for over sixty years and assist in document preparation needed for organizational purchase approval. Grand pianos and professional studio pianos can be rented for conferences, weddings, receptions and other short term events. A selection of consoles and upright pianos, and even digital pianos are available for month-to-month rental. Contact us for more information on the services we offer.